Build a welcoming environment for yourself with the most advanced AIO (all-in-one) in its class. 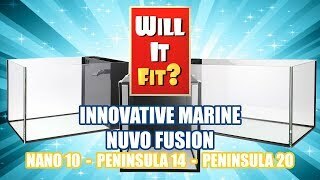 Keeping in line with the features of their award winning successor, the Fusion Nano aquariums have generous display space for aquascaping and a redesigned filter wall for current and future Innovative Marine products in mind. By raising the bar on what comes standard you get to live large in a small space. Great all in one with decent return pump and sump. 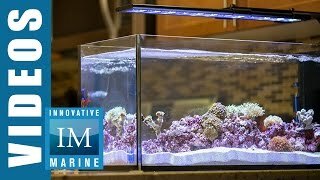 Perfect for running single kessil type lights. Sump design allows for detritus build, but can be maintained with proper cleaning.